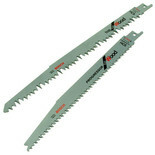 A pack of two different wood cutting blades for Bosch Sabre saws. 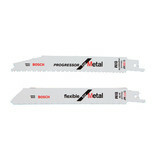 A pack of two different metal cutting blades for Bosch Sabre saws. 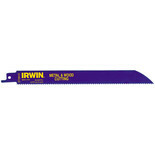 This tough and hard-wearing saw blade is designed to be used in most popular models of sabre and reciptocating saw. 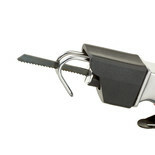 Unique geometry and TCT teeth allow it to cleanly and safely cut bricks. 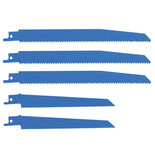 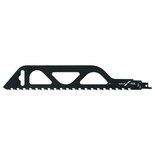 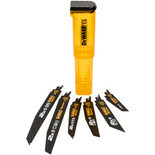 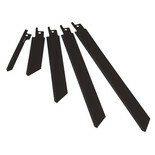 A pack of three replacement blades for the Clarke CAT167 air powered sabre saw. 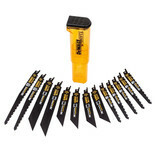 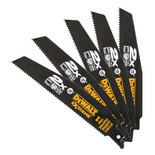 A pack of five blades to fit the Clarke CON100 & CON850 Contractor Reciprocating Saws. 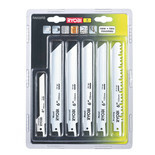 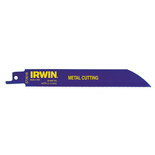 These blades are ideal for cutting non ferrous metals.